NEW! Lucy Roberts and her first visit to Bahrain. 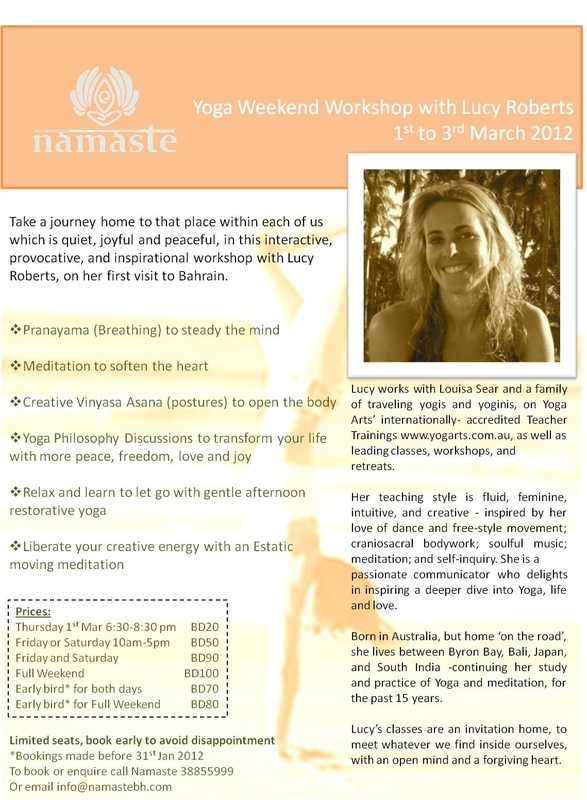 Yoga weekend 1-3 Mar.